Learn to make assessment therapeutic, gain confidence in your abilities and address tissue specific true cause of pathology to get better results. Advanced clinical reasoning with practical integration makes assessment and treatment more effective. This 1 to 4 day course will assist physical medicine providers in building clinical reasoning skills with evidence based best practices and provide resources you can take directly into practice making you a more effective practitioner. (body region tissue specific – anatomy, ROM, orthopedics, differential diagnosis, soft tissue & osseous mobilization, exercise rehab/stretching, IASTM) – This series is collaboration between the globally recognized author and educator Dr. Nikita Vizniak and the multidisciplinary Prohealthsys team plus get insider access & pricing on the 1000s of proCentral resources (video demos, clinical tools, chart notes, patient handout and many more) – learn what to treat when and start working smarter not harder. Are you ready to go to the next level with rapid instructional design and incorporation of proven techniques used by professional athletes and top clinicians around the world? Do you know how to determine if the low back, visceral referral or SI joints are playing the key role in a clinical presentation? Do you know how to make your assessment therapeutic? Would you like to learn more about WHERE to treat, WHAT to treat and WHEN? Assessment Orthopedic & neurologic testing – have an accurate clinical understanding of the patients specific injury, fascial adhesion, compensation & dysfunction, differential diagnosis – and refer with confidence! Learn the critical thinking process, clinical integration and evidence based best practice methods and NOT memorization of protocols. Joint mobilization – learn the best practical application of joint mobilization (grade 1-4) safely and effectively, for the maximum benefit of your patients. At the end of the each module participants will receive a certificate of completion. Upon completion of all 4 modules, participants may sit for an exam that would qualify them to be certified as a Prohealthsys Provider (PHP) and have their name/clinic added to our Preferred Providers contact list for direct referrals from other PHP professionals. After completing module 1 & 2 of the Prohealthsys Advanced Clinical Reasoning course I feel re-inspired in my practice. I feel that I have gained new, useable, practical, relative techniques that I will be adding to my practice immediately. I highly recommend taking any of Dr. Nik’s modules or courses that he offers, it is definitely worth your time and money. Everything i learnt i use in my own practice and it has helped me become a better practitioner. – Thanks Dr. Nik! “Dr. Nik’s courses were very helpful. I find his teaching style to be fresh and motivating while incorporating humor breaks to keep his students engaged in learning. The repetition of getting his students to say things out loud or inviting them to get up in front of the class to go over certain techniques is a great way to solidify that new knowledge so you wont forget. I liked that he gets involved by being “the patient who doesn’t listen well” so it teaches you to communicate very clearly to your own patients in practice. He stresses this importance in communicating clear instructions and explanations of treatments which not only our patients appreciate, but is extremely important in patient care and responsibility. I highly recommend taking any of Dr. Nik’s modules or courses that he offers, it is definitely worth your time and money. Everything i learnt i use in my own practice and it has helped me become a better practitioner. – Thanks Dr. Nik! I have been a in practice for 15 years. When I looked into Dr Vizniak’s seminars, I thought it looked like a good review of musculoskeletal conditions and orthopedic tests. I was not disappointed and was pleased to learn quite a few new clinical pearls. I liked how interactive the class was. Dr Vizniak was willing to field questions and expand on them as it pertained to the course material. What I liked in particular was how he engaged the attendees, making us think through the conditions or tests that were being reviewed. I found this not only useful but practical since the reality is when there is a patient in front of you, you have to go through a very similar process: what, why, how etc? I look forward to attending more modules in the future. I highly recommend Professional Health Systems courses. As a physiotherapist in practice for 5 years, this course was a good review of assessment and treatment techniques; with informative slides with images and videos from cadaver labs and clinical practice. The material is presented in an entertaining way and knowledgeable TA’s are available to answer questions. 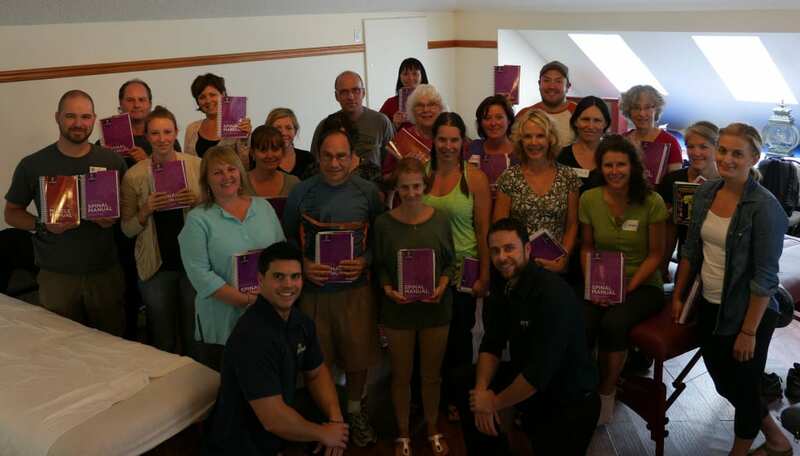 Professional Health systems courses are a great way to stay current in professions where it is important to be up to date with the latest treatment techniques to help your patients achieve their rehab goals. I highly recommend taking any of the Prohealthsys modules or courses offered, it is definitely worth your time and money. Everything I learnt I use in my own practice and it has helped me become a better practitioner. – Thanks Dr. Nik!